State regulators, environmental consultants, development gurus and others say the gas plume that snaked underneath the stadium in the 1980s shouldn't hamper efforts to develop the 166-acre stadium site. 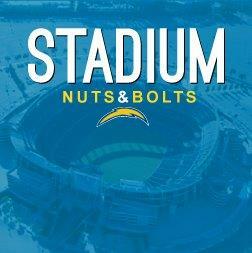 There are many roadblocks to building a new Chargers stadium. 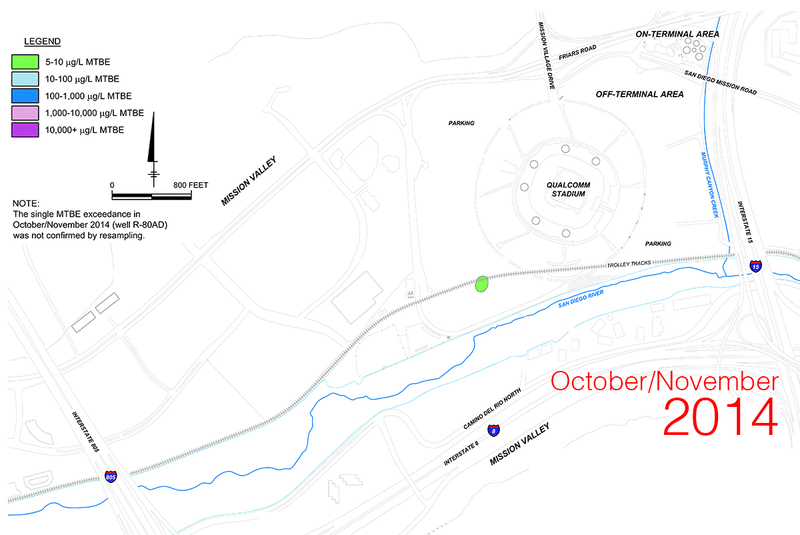 A massive gas plume that once snaked underneath Qualcomm Stadium probably isn’t one of them. 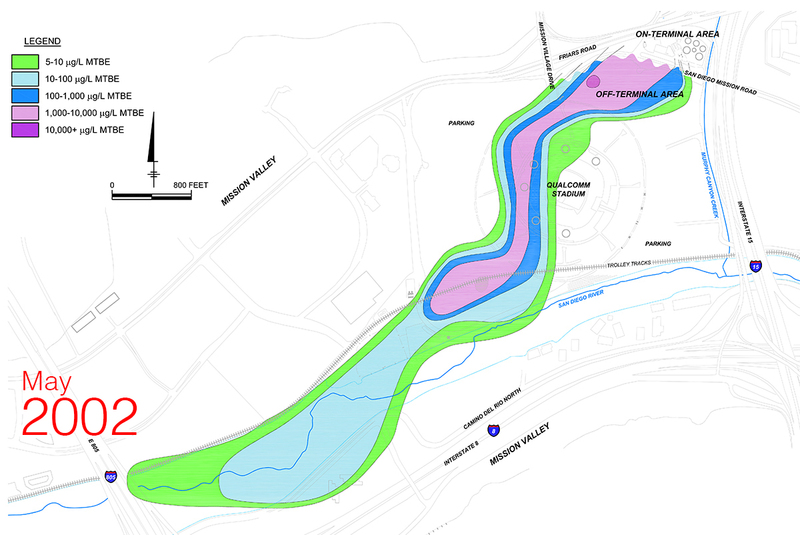 State regulators, environmental consultants, development gurus and an attorney advising the city on spill-related regulatory issues say the situation is unlikely to hamper efforts to develop the 166-acre stadium site – particularly if the focus is on a stadium. That might surprise anyone who’s paid attention to the long-running speculation that the plume and an ongoing city lawsuit related to clean-up efforts could complicate a Mission Valley stadium deal. Fabiani seems to have a much more bleak read on the situation than others. “Can the site be redeveloped? As far as I can see, there’s no obstacle to it,” said Dave Gibson, executive officer of the San Diego Regional Water Quality Control Board, which has monitored cleanup efforts over two decades. The outlook wasn’t always so bright. A site just north of the stadium, known as the Mission Valley tank farm, has served as San Diego County’s gas hub since the early 1960s. More than 20 years ago, petroleum seeped out of the site’s pipes, some of it in small amounts that were initially untraceable. 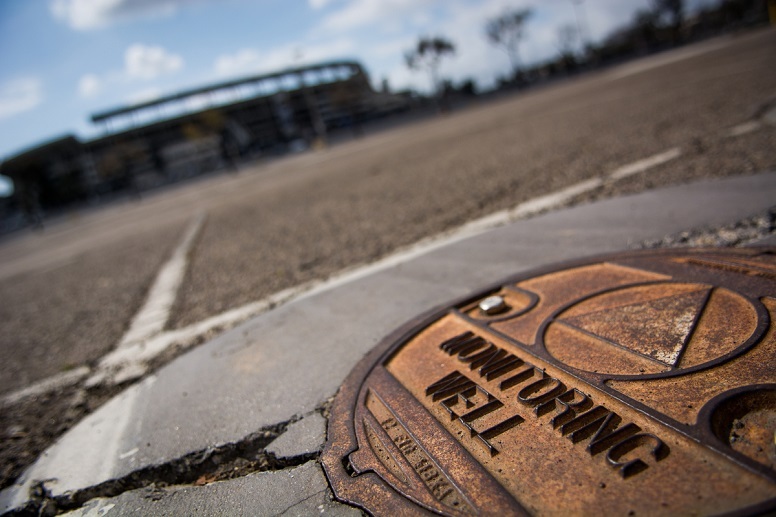 That petroleum and its byproducts flowed south, traveling 25 feet underground beneath Qualcomm Stadium and its parking lots, around the San Diego River and almost to Interstate 805. Regulators and the major gasoline companies that owned the petroleum hub discovered the soil and groundwater contamination in the late 1980s. The mess was later declared one of the state’s largest gasoline plumes. The Water Board charged gasoline giant Kinder Morgan Energy Partners with the cleanup after the company bought the Mission Valley fuel depot in 1998.The company says it’s since spent at least $75 million rooting out the pollutants. Scores of monitoring wells – about 170 of them – are scattered underneath the Qualcomm parking lot. The company, under the Water Board’s watch, sunk millions into treatment and extraction projects..
Kinder Morgan included the above maps, produced by consulting firm Arcadis, in its latest monitoring report to the Water Board. To download the original 2002 image, click here; to download the original 2014 image, click here. The report, which was filed with the regulatory agency in January, could be its last. The Water Board issued a letter in October 2011 declaring Kinder Morgan had removed soil contamination “to the extent technically practicable.” The clearing of a remaining contaminated patch got the board’s stamp of approval in December 2013. Remaining groundwater analyses, another part of the cleanup process, have continued since. Sean McClain, a Water Board geologist who’s been overseeing the cleanup, said regulators are in the process of reviewing that groundwater data and could conclude the company’s met all its obligations for contamination outside Kinder Morgan’s property. McClain said early reviews – and the past three quarters of data – show how far the property has come. “This is probably one of the most successful cleanups that we have in the county,” McClain said. Multiple experts who spoke to Voice of San Diego said those conclusions, plus the reams of data collected over the years, bode well for anyone hoping to build on the Mission Valley site currently housing the stadium. Geologist Steve Beck is the manager of environmental services for Ninyo & Moore, a consulting firm that specializes in environmental engineering, testing and inspections. He’s convinced the plume would not be a major obstacle to a stadium development unless builders fail to consult the data and factor it into their plans. Jim Whalen, a Mission Valley-based consultant who assists developers with the environmental review process, largely agreed. “Anyone considering a development would have their own consultant and attorney look over the results and provide a third-party review as a standard due diligence exercise. But they’d likely come to the same conclusion (as the Water Board),” Whalen said. An attorney advising the city on Kinder Morgan’s long-running cleanup process agrees. “I really don’t think the development of the football stadium is going to be significantly hindered by the fuel release,” said environmental attorney Richard Opper, who worked on what he said were “far more complicated and expensive issues” with the Petco Park project. Don’t take the agreement over the feasibility of a stadium as a sign that everyone’s singing kumbaya, though. But city officials who have spoken out about the cleanup aren’t criticizing Kinder Morgan’s soil work. They’re focused on the city’s ability to transform the groundwater aquifer near Qualcomm Stadium into a source of drinking water – and they say Kinder Morgan’s cleanup efforts haven’t sufficiently addressed that goal. Those concerns wouldn’t substantively affect stadium development if the plans are structured right. Real estate consultant Gary London, who has served as an expert in the ongoing Kinder Morgan case, considers the area one of the region’s prime development opportunities. He thinks there are more pressing issues than the plume to address to make that happen – like more road and freeway connections. “Of the spectrum of very real issues associated with the development of the 160 acres, (the plume)is probably the least of all worries,” London said.